Today we’d like to introduce you to Luz McMullen. Thanks for sharing your story with us Luz. So, let’s start at the beginning and we can move on from there. In the early 1990s, in my hometown of Pijijapan, Chiapas, Mexico, I worked as a photographer both as an independent and for the city. After coming to America, I moved to Houston, found work as a child as a wedding photographer, and married. Marriage, family, and friends made Houston my new hometown. In 2000, I moved to Los Angeles and continued photography, as well as joining the professional photographer’s groups, LAPPVA and WPPI. Photo booths were just being born and nobody knew if they would take off. But the idea attracted me and it only took a single gig to spark my excitement for it. Still, despite the wonderful people I met in California, my heart belonged to Texas. 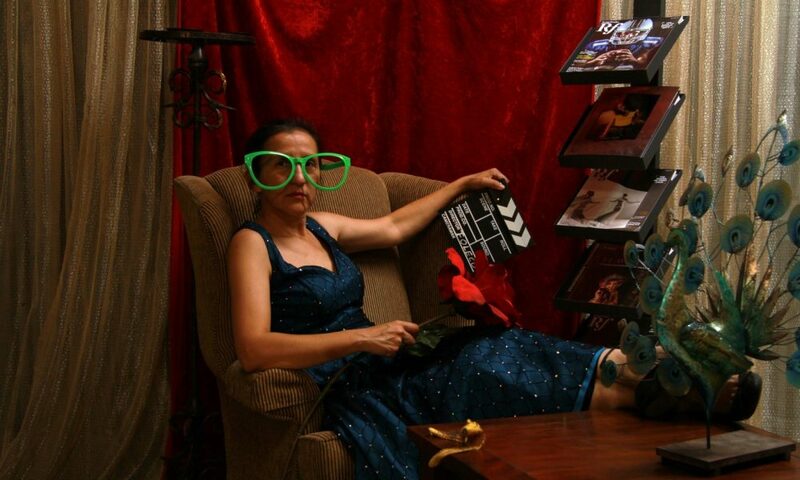 In 2012, I returned home to Houston and after a few false starts, began my Foleco Photobooth business in earnest. Back to back hard times in the form of cancer hit my family from 2013 to 2016. As if life wasn’t precious before, I developed a new clarity of respect for life being both precious and fragile. This new point of view colors everything I do. When I host my Photobooth, I no longer want people to have a good time, I want them to have the best of time that I can possibly give them. I want them to feel the event was one of their best, happiest moments, ever. This is what I mean when I say, “You Throw the Party, We’ll Bring the Fun!” Wedding, Quinceneras, birthdays, even corporate events, I can only bring my best to people if I’m enjoying myself as well. The smile came out of her whole body like a hiccup, then she laughed, and that’s when she started enjoying it all. As you see on my website reviews, people love the enthusiasm I bring to my work so much, that they sometimes even ask me to be in the picture as a “Prop”. First and always of course, I’m the only attendant providing service. My clients and their guests are the stars. The biggest struggles are when my two sisters contracted cancer. That stopped me cold and I put everything on hold as our family came together to care for them. Sincerely enjoying what I do is a major part of what makes Foleco work. There were too many times during this period when I didn’t feel I could bring that, and these events are too important, too special to people, that I didn’t dare try. Please tell us about Foleco Photobooth. You have a camera, lights, backdrops, and props, same as everyone else. Beyond that, I’ve seen so many people spend so much money trying to keep up with all of the latest software, videos, templates, you name it. This business can become a money pit if you let it. Yet all of that doesn’t matter if people aren’t enjoying it, and they won’t enjoy it unless you provide service. You have to get yourself involved before your client’s guests will get involved. I was at a friend’s wedding where they hired a Photo booth company who had a delivery guy roll in some black photo booth boxes, set them up, and walk off. Those sterile cubes sat there like abandoned speakers the whole night and maybe four people actually used them. According to my customers, what sets me apart is the commitment to service that I provide. I get people excited, they throw off their cares, they stop worrying about being cool, or their bills, and just let go and have fun! That’s what’s key to this business. You can’t just sit there expecting your expensive “Stuff”, to do the job for you. You have to know how to handle your tools to please your customer. At this point I don’t know. I don’t regret the choices I made when the hard times came. I lived through them, survived them, and kept going. I’ve recently joined Professional Photographers of America (PPA) as my personal way of recommitting to my goals. Life can really throw you some hard curves but everybody has their share. As long as I live, I intend to enjoy life. I’m so proud of you. You deserve all the success you’ve reaped. The love for your work, the passion you have for life is self evident in the pictures you take. You are a talented photographer. Congrats Luz!!! You do a great job. This is so fantastic, Luz. This is why I hire you for all my parties. Which reminds me, I’d better schedule my next one with you now!